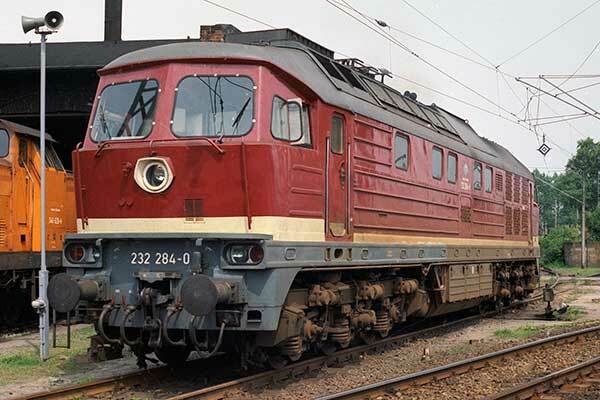 Caption - DR 232 284-0 is one of a large class of Co-Co diesels built in the USSR also known as M62 or Ludmillas. Locos to various specifications were built with freight and mixed traffic versions. Introduced in 1970 they became classes 130, 131 and 132. On reunification they became 230, 231 and 232 respectively. Their numbers have been reduced in recent years although in 2016 a number were still at work across Germany.